On the professional front, this month is going to keep you occupied with lots of work reveals Virgo monthly horoscope. The increasing burden of work will take a toll on your performance during the second half of this month. However, your first half would bring appreciation from your peers and subordinates.In addition, the chances are that you may find yourself in a situation where your ego will clash with one of your peers or bosses. 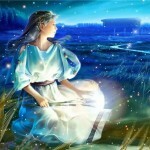 Financially, this month will be an average time for you reveals Virgo horoscope for January month. Your income will not remain constant and may go down drastically. However, your expenses will be under control. Also, this is not a very good time to invest on bonds, shares, equities or stocks. On the romantic front, there would be harmony and love in your relationship. However, it makes sense try every possible effort to fulfill the emotional needs of your partner and try to avoid any kind of argument as much as possible. Never be over possessive for your partner as that may stem up misunderstandings in your relationship. This month will prove to be a favorable time to enter into any new relationships for single Virgos reveals January month horoscope for Virgo natives. Health wise, the month can be said a favorable period for Virgo natives reveals January month horoscope. However, elderly people should remain careful about their health because this month could bring for you headaches and stress in your life.